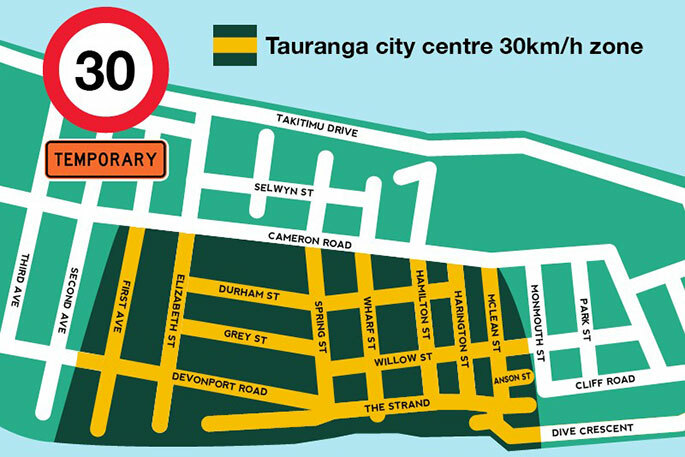 A temporary 30km/h speed limit will soon apply for Tauranga CBD. The speed restriction is being introduced due to the significant growth and development projects that are underway and will take effect from Monday October 29. It will apply between First Avenue and McLean Street, and between Cameron Road and the waterfront. Cameron Road will remain at 50km/h. There are a number of construction projects underway in the city centre that require a 30km/h temporary speed limit. Tauranga City Council is creating one consistent speed limit to help simplify construction sign requirements and to keep things simple for people who are driving and safer for people who are walking and biking. City Transformation Chair, Cr. Larry Baldock, says it makes sense for a growing city. “This is a sensible move for our city centre, and aligns to what is happening in other centres across New Zealand. 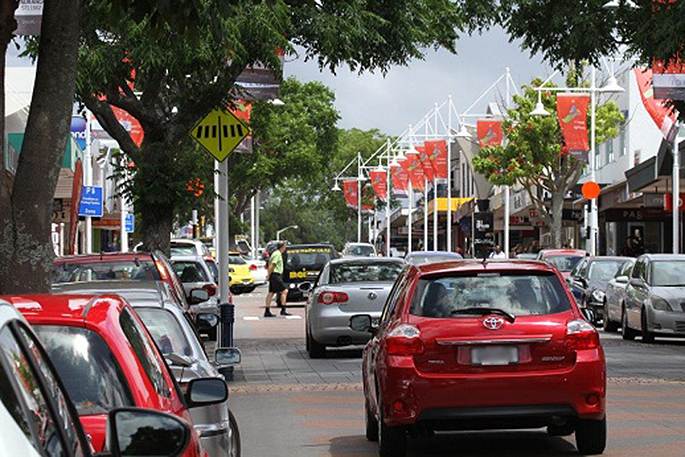 “A permanent 30km/h speed limit has been successful in Mount Maunganui, and we expect that there will be more conversations about establishing lower speeds for town centres in the future,” he says. The new speed limit will start out as a trial, and be reviewed after a year. If the speed limit were to be permanently implemented after this time, it would need to go through a public consultation process. This trial has been approved under the code of practice for temporary traffic management. Council is working alongside transformation partners in the city centre to come up with a number of initiatives that will help to minimise disruption, and maintain a safe environment while the city centre experiences unprecedented growth. “The 30km/h speed limit is one of the first of the actions from the response plan. This will help reinforce safety and ensure drivers are conscious of pedestrians crossing at different points." Council has recently identified 19 key projects, which are planned or underway in the city centre. “This map highlights the amount of construction we have going on. On top of this there are more buildings that are being brought up to earthquake safety standards, as well as other smaller projects, including inner city apartment builds and refurbishments,” says Larry. “Our city centre is a hive of development activity. We acknowledge it’s a disruptive time. All this work is really going to pay off for Tauranga in the long run.